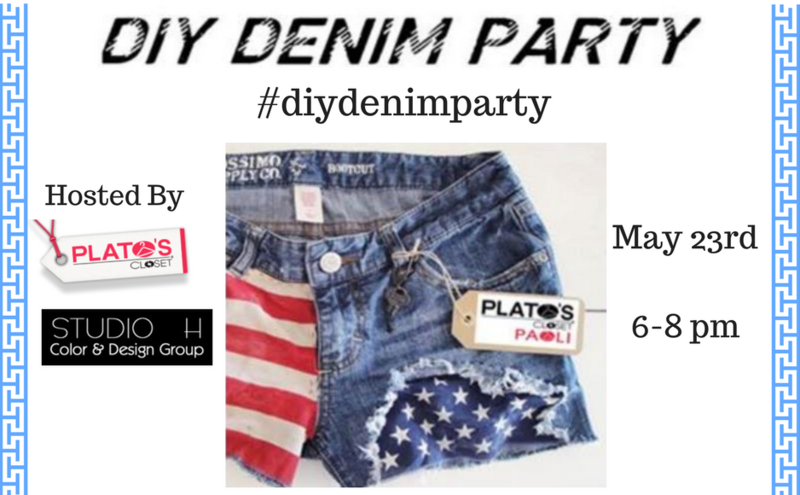 Don’t miss our DIY Denim Party, hosted by Plato’s Closet and Studio H! BYOD (bring your own denim) to the Paoli Plato’s Closet on Tuesday, May 23 from 6-8 PM. You can also buy a denim item for 15% off at Plato’s. And it isn’t just for jeans–denim jackets, shorts, overalls, and more are all welcome. Plato’s will be providing supplies and teaching techniques for adding a personal touch to your denim, whether that be through destroying, embellishing, or other creative techniques. Complete your look with a new ‘do! Stylists from Studio H will provide complimentary hair braiding.